Eliza has been performing on stage since age 6 years. 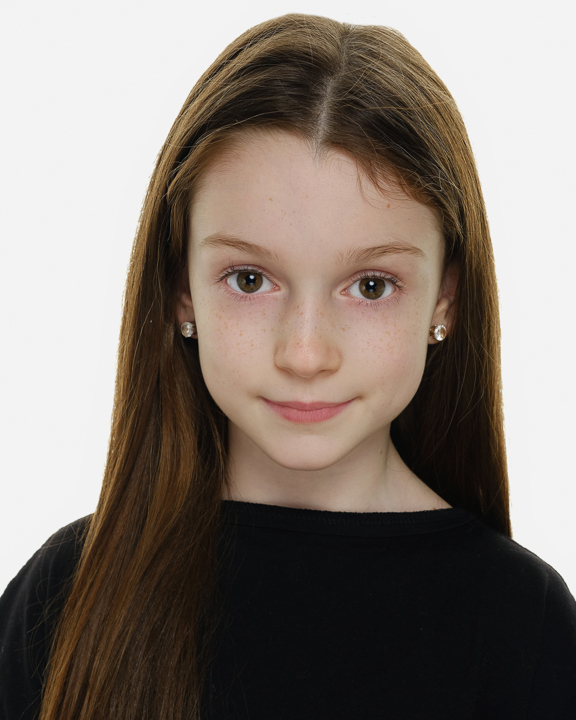 She has appeared in High School Musical, Hairspray and most recently Matilda, where she played the lead role of Mathilda and loved singing and dancing with all the other children! Her favourite hobby is playing the violin and she is doing her grade 3 Musical Theatre exam in September. Eliza loves to play with her dog, Alfie, and likes going to the beach in Sandycove. Her favourite holiday is going to Florida with her family, and going on the rides in Universal, especially ‘Rip Saw Falls’. She likes going to beavers with her friends. She also likes to watch movies with her family and play outside on the road with all her friends.